I saw this in the shop a view days ago, and yesterday I decided to buy it. I first thought that it was a nailharder but when I actaully read the back I realised that it was a quick nail dryer something drops. When I came home I couldn't wait to check if it relly works, since the back of this bottle claimed things that couldn't be right. 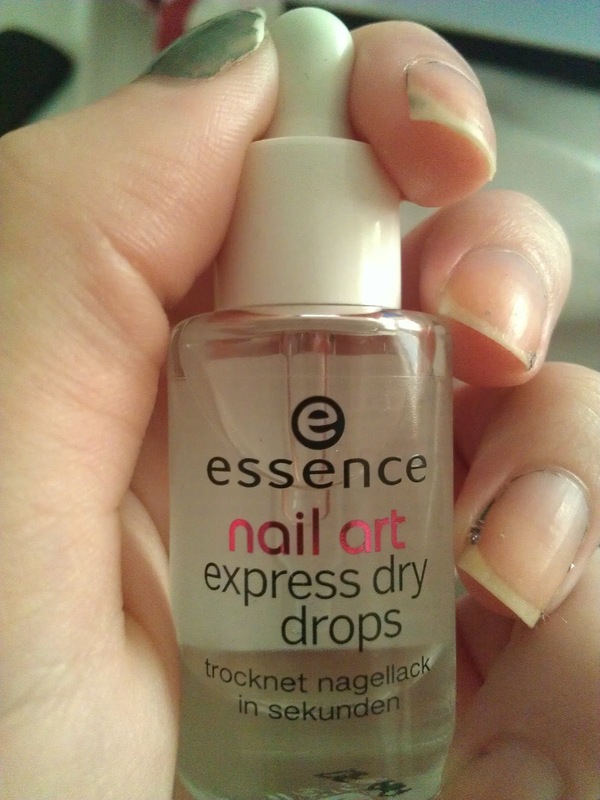 Quick drying drops thay dry nailpolish within seconds: apply 1-2 express dry drops on to your freshly polished nails. So that was what I did. I tried it on two different brands of nail polish, Essence and Essie. To just try out if it really works on different brands. And it did ! It was like magic to me, because I'm the kind of person who doesn't have the patients to wait till my nails are dry and now I don't have to ! And they say you have to use 1-2 drops but 1 is enough for me, or even to much. You can also perfectly use this for more than one layer of nail polish. Because I dropped this on my nail polish when I saw that it needed another layer. So I added a layer of extra nail polish on top of it and it dryed as quickly as the nail polish underneed it and it stayed. And now I never have to ruwn my nails again!